The Rev. Gary Dalmasso and The Rev. Judith Dalmasso are the founders of RICM. 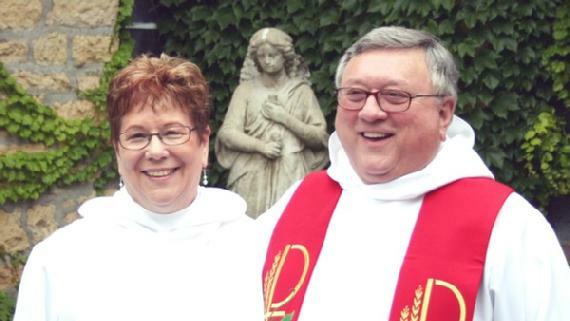 Father Gary was ordained an Episcopal priest in 1967 and Judith+ was ordained an Episcopal priest in January 2008. During the first eight years of his ministry, they planted and served St. Mark's Episcopal Church in East Moline and Silvis, Illinois. Since 1976, Father Gary and Judith+ have been actively involved in the Charismatic Renewal that the Lord has given to the Church. They both serve in this faith ministry, leading Renewal Weekends and conferences in the United States and beyond. They have four children, thirteen grandchildren and two great grandsons!!! Below are some of our Leaders who help RICM with music, organization, and ministry to people. We wish to introduce you to some of the key people in RICM. However, there are many others who volunteer their time and talents to this ministry who are not listed. Some travel with us from time to time and help us in ministry. In each locale where one of our Renewal Weekends is held we have a core group of ten to twenty committed brothers and sisters who help us by being on our Team; shuttling people to and from the airport; and helping with many details of the weekend. Without them and their active and faithful support, this ministry would not be. These amazingly invaluable and faithful friends are truly servants. We at RICM are most thankful for them and their offerings of their giftedness. Annelies and Ton Vonk Noordegraat are RICM's Leaders in the Netherlands (with a faithful team of dedicated people). Annelies and Ton came to the United States a few years ago to visit and experience RICM. Father Gary had been the speaker at CWN (a national charismatic conference in the Netherlands that meets twice yearly) seven different times over the years. That is where the Lord put Annelies into a relationship with the Dalmassos. Annelies and Ton have three beautiful children(two girls and a boy). Annelies' mother, Joke, was one of Father Gary's translators in the 1990's at the CWN conferences in the Netherlands. The Dutch team do a fantastic job of preparing the Emmaus Conference Center in Helvoirt, Netherlands for one of our Renewal Weeks. Their good humor during times of challenge and their hopeful expectancy is always uplifting to all who attend. God has really blessed RICM with Anneliese and Ton and their Dutch Team. Skip Clarquist is one of our faithful music ministers. 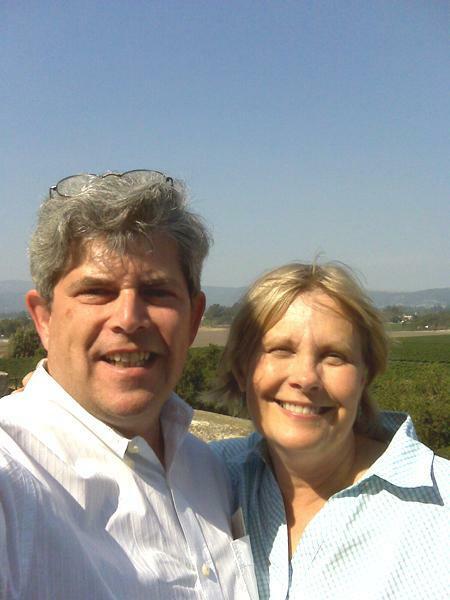 He and his wife, Donna, are a real gift to RICM. Skip was RICM's worship leader from 1986 until 1995. In recent times he has again become an integral part of the ministry. Skip and Donna live in Silvis, Illinois not far from Father Gary and Judith+. Skip is truly an annointed worship leader bringing people into the presence of Holiness. We are so pleased to have Donna and Skip with us. 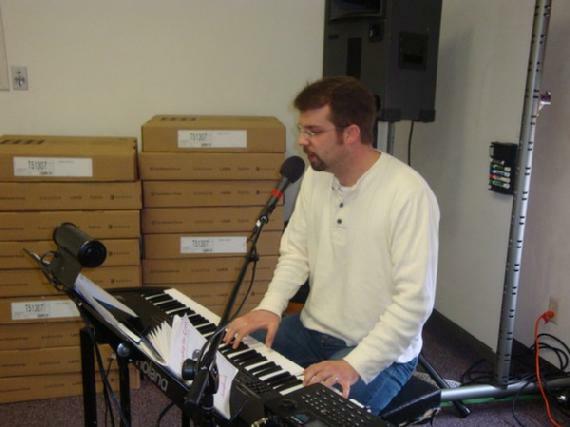 Matt Everett, a graduate of Sam Houston University with a Bachelors degree in Music and a Masters in Piano Performance from the University of Houston, has been leading worship for 20 plus years. RICM first met Matt when he was the worship leader at the Church of the Redeemer in Houston, TX where Kathleen Thomerson once worshipped. He presently is living in Houston, TX. RICM is blessed to have Matt as part of our Texas team. He is truly gifted in voice and keyboard. He is a great worship leader, bringing us to new heights of praise and worship. David Lattan, a man of many talents, serves RICM in many diverse ways. On any given weekend, David can be seen as a teacher, a leader, and a prayer minister. He is also a problem solver and a man of action. He is a valued and trusted friend, a confidante to Father Gary. David is a Vice President of Prairie Farms Dairy, Inc. He and his wife Jan are both very active in this ministry and have become a most vital team interceding and working in prayer ministry with those who come to RICM's weekends. The Rev. Ronald Drummond,a graduate from Nashota House in May of 2004, is also one of RICM's music leaders. He is the Rector of Stephens Church in Hurst, Texas. Father Ron came to RICM when he was a junior in High School and traveled with us for eight years. He has gone with the ministry to the Netherlands several times. His vocal and instrumental talents combined with a great sensitivity to the leading of the Holy Spirit yields times of high praise and deep worship. He is also one of our gifted teachers and speakers. Father Drummond and his wife, Sarah, have a daughter named Morgan and two sons - Benjamin and Samuel. Alvin Spencer has been involved with RICM since its conception. He is a man of steadfast faithfulness, integrity, and strength. 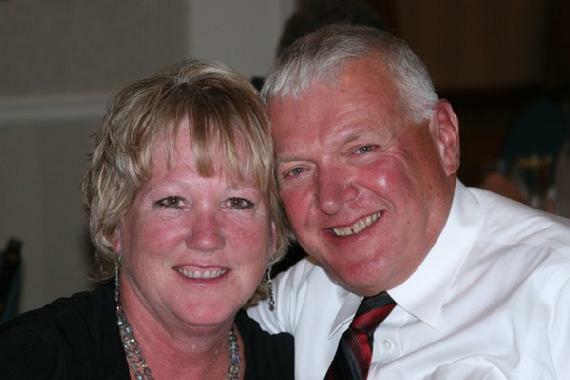 He is a retired mechanical engineer working his entire career with Deere and Company. 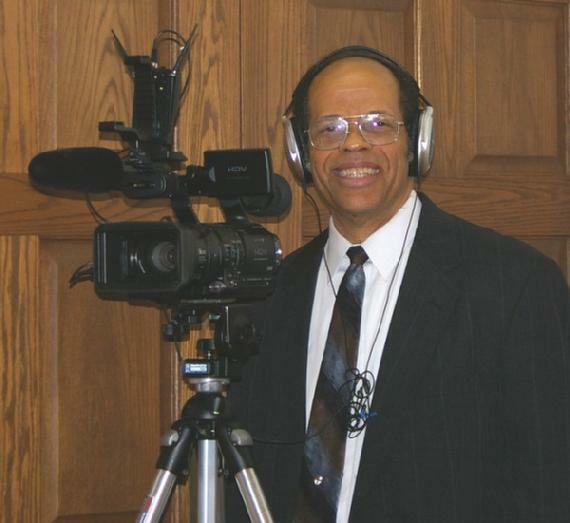 Alvin and his wife Brenda, have turned Alvin's hobby of video taping into a full time business. Alvin has been a long time friend of Father Gary and is an essential intercessor of the ministry. Alvin and Brenda have twin sons. 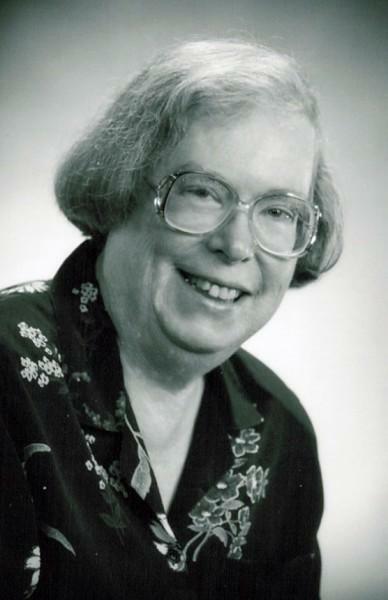 Kathleen Thomerson was one of RICM's music leaders for many years. She received music degrees from the University of Texas at Austin, with additional organ study in France and Belgium. Kathleen is a Fellow of the American Guild of Organists. She lives in Austin, TX where she is enjoying retirement. Kathleen is well known for the hymn "I Want to Walk as a Child of the Light", printed in a number of denominational hymnals. She definitely has written many other hymns as well, including a number for RICM. Kathleen became one of our music leaders at a time of great need within our ministry. For ten plus years she was faithful to travel sacrificially with us in our Van throughout the US and sleep in not so fancy economical motels. She was a great blessing to this Faith ministry then and continues to be a blessing to RICM now.